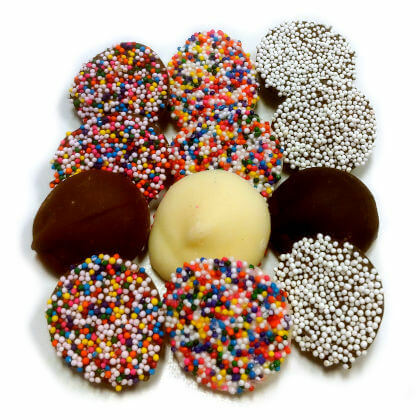 Creamy gourmet Asher nonpareils in dark, milk, or white chocolate. Dark chocolate has white sprinkles; milk and white chocolate have rainbow sprinkles. Approx. 1 inch in diameter. Approx. 6 pieces per ounce. 8 oz bag.